Through inspirational lessons like Dont Be Afraid to Reach for the Stars, Kathleen encourages us to live our daily life with a sense of purpose, passion, and anticipation. The stories originate from her many encounters with wonderful people whose paths so miraculously interconnected with her own. Some of them stem from her role as a registered nurse, psychologist, coroner, teacher, daughter, wife,… mother, and friend. Others are from the perspective of people that she has come to love and admire. 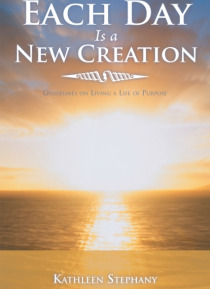 Although each subsection can be read on its own, when taken all together, they form a guide for living life more fully.